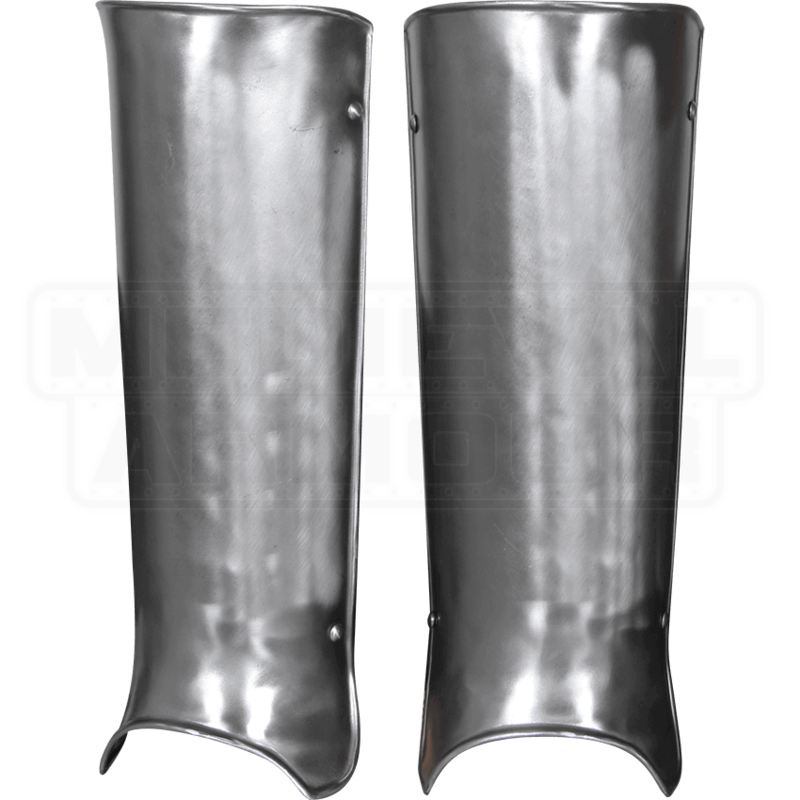 Keeping mobile in battle is a real concern, making the Steel Gustav Greaves a great way to protect your legs and stay moving. The steel greaves offer coverage from knee to ankle with a distinctive outward curve at the bottom. The simple curve provides extra space for moving your ankles to aid maneuverability. The leg armour possesses a bright metal gleam that looks great on knights and champions of all sorts, especially when paired with other pieces of our Gustav-style armour. We recommend wearing padded arming wear underneath this plate armour for increased comfort. 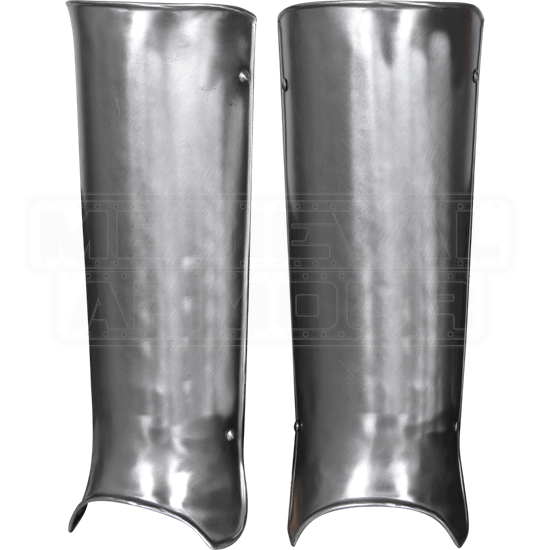 This leg protection is ideal for use at LARP events and re-enactments.